UPDATED: Texas Attorney General Ken Paxton and Lt. Gov. Dan Patrick have joined Gov. Greg Abbott in calling for an investigation into Planned Parenthood after an anti-abortion group's release of an undercover video. Texas Attorney General Ken Paxton announced Wednesday his office would investigate Planned Parenthood after an anti-abortion group released an undercover video showing a Planned Parenthood executive discussing how to preserve an aborted fetus's organs for medical research. “The Office of the Attorney General has launched an official investigation into Planned Parenthood following the release of a video that details the organization’s calculated slaughter of human babies to maximize the available body parts they plan to sell," Paxton said in a statement. 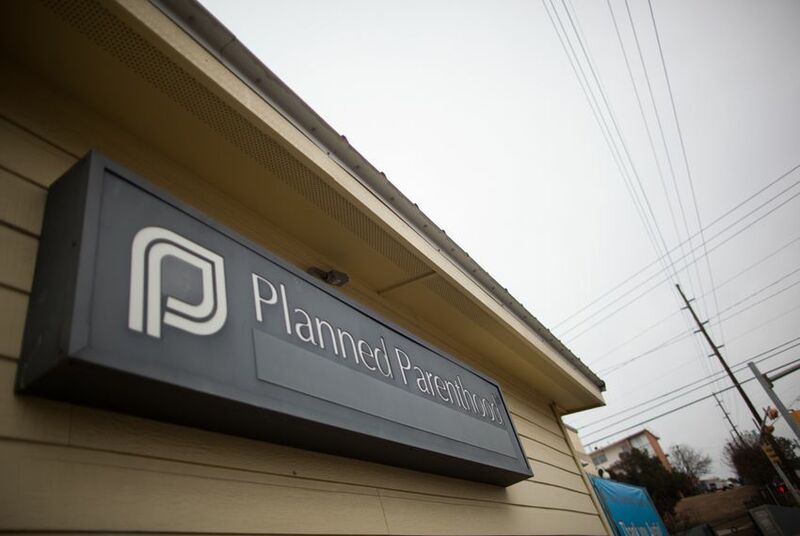 Planned Parenthood denies the allegations of selling organs, saying that with a patient’s permission, abortion clinics may sometimes donate fetal tissue for use in stem cell research. Lt. Gov. Dan Patrick also lent his voice to the growing outcry from Texas Republicans, asking the Senate Health and Human Services Committee to hold an interim hearing this month "to ensure no laws are being broken." "Texas taxpayers must be assured that the sanctity of life and the dignity of human remains are diligently being protected," he said. After an anti-abortion group on Tuesday released an undercover video showing an executive at Planned Parenthood discussing how to preserve an aborted fetus’s organs for medical research, Gov. Greg Abbott announced an investigation into the alleged practice. The video, filmed by a group called the Center for Medical Progress, portrays Deborah Nucatola, Planned Parenthood’s senior director of medical research, discussing how to “crush” a fetus in a way that keeps its internal organs intact. “We’ve been very good at getting heart, lung, liver, because we know that, so I’m not gonna crush that part, I’m gonna basically crush below, I’m gonna crush above, and I’m gonna see if I can get it all intact,” she says in the recording. Planned Parenthood clinics, with a patient’s permission, may sometimes donate fetal tissue for use in stem-cell research, a spokesman for the national group said in a statement Tuesday. Planned Parenthood has said the video misrepresents the organization’s work. Planned Parenthood representatives in Texas did not immediately respond to a request for comment on the state investigation. The organization, which performs abortions and provides other women’s health services, has long been a target of Texas Republicans. This year, state lawmakers approved a budget that will prevent Planned Parenthood from participating in the joint state-federal Breast and Cervical Cancer Services program, which provides cancer screening for poor, uninsured women in Texas.